London is an art lover's and a designer's dream. • On the tube, everywhere you look, you'll see Harry Beck's instant design classic, masquerading as a map – still looking as fresh today as it did when it left his studio in 1931. • In the capital's skyline there are architectural triumphs that include Renzo Piano's Shard, Norman Foster's Gherkin and Anish Kapoor's rather more playful addition to the Queen Elizabeth Olympic Park. • All over London, art and design museums proliferate – and we'll pick a few of our favourites in just a moment. 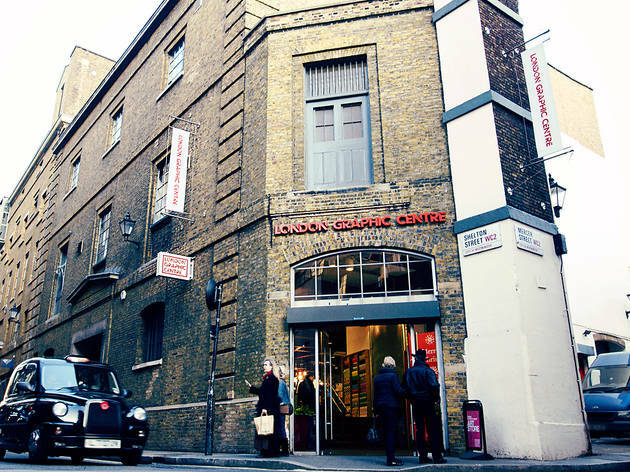 • And, of course, there's London's leading design-led graphic and arts retailer and inspiration space that is London Graphic Centre in the heart of creative Covent Garden. But where are the best hangouts for the capital's artists and designers? Where do the next gen gravitate to congregate and cogitate? The European Museum of the Year (2018) is one of the world's leading contemporary design spaces. Its collection encompasses architecture, fashion, graphics, products and industrial design and it is now at home in its High Street Kensington location, after moving into this beautifully refurbished and redesigned 1960s Grade II listed building in 2016. Framed by the trees that edge Holland Park, the distinctive copper hyperbolic paraboloid roof covers British architect John Pawson's minimalist design temple, fashioned out of pale Dinesen Douglas fir and white marble. Nelly Duff is where East meets Street. This exhibition space for urban, tattoo and graphic artists casts its net across the globe to capture the latest zeitgeist. Artists from Barcelona, Baltimore and Brixton are represented on its walls and can be frequently found treading its wooden floorboards. Special editions, inspirational exhibitions and some of the globe's finest high-quality, hand-made prints are here for the viewing – and, for those with deep pockets, purchasing. Nelly Duff has always been ahead of its game – one of the first spaces to exhibit street art, it remains the place for the art and design crowd to proclaim their eclectic, weird and wonderful tastes while staying one step beyond the latest trends. From the art eccentrics of East London to the art establishment at its very heart: you can pick your vibe and the perfect hangout will be there to be found in London. The extreme wealth of the London borough of Kensington and Chelsea is punctuated by the RCA’s stark, brutalist architecture that is positioned, as if to cause maximum offence, next to the ornate finery of the Royal Albert Hall. The RCA frequently tops the list of the best art and design universities in the world. It includes arch-modernists, pop artists and the Young British Artists (YBAs) among its alumni, all of whom have enjoyed biting the hand that feeds them by using the establishment as a foil for their critical art. With numerous wonderfully curated exhibitions and regular talks from the leading lights of architecture, design and art, the RCA cannot help but be a top art and design hangout. The transformation of a run-down Victorian townhouse into a celebratory space of sustainable design that never compromises on style has created the venue that is 19 Greek Street. Its café, exhibitions and events act as an irresistible magnetic force that attracts London's designers, fashionistas and artists. The coffee shop features design-conscious seating by Nina Tolstrup and coffee tables crafted by Richard Hutten from hardcover books. There's organic British food from local pop-up The Full English, and regular exhibitions and events covering everything from fashion to beauty and interiors to media. This is the place for the art and design crowd to find food for thought and sustainable food. 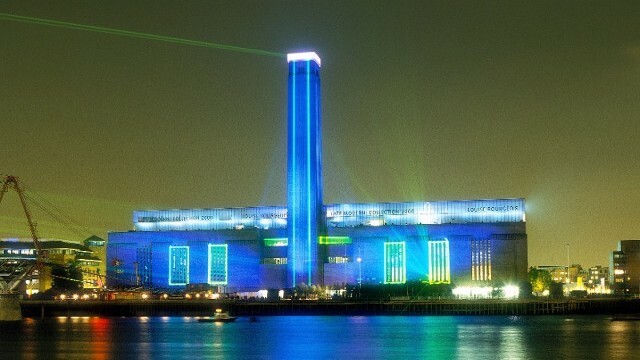 The Tate Modern is one of the most famous international contemporary art museums in the world and is still riding high within the top 10 of the most visited. Free to enter, and offering regular touring exhibitions well worth the ticket price, this former power station is now a powerhouse of art and design. The building itself is enough to inspire, with a brick chimney rising high into the London skyline and a sunken Turbine Hall occupying the 3,400 square foot basement, which once housed the capital's electricity generators. 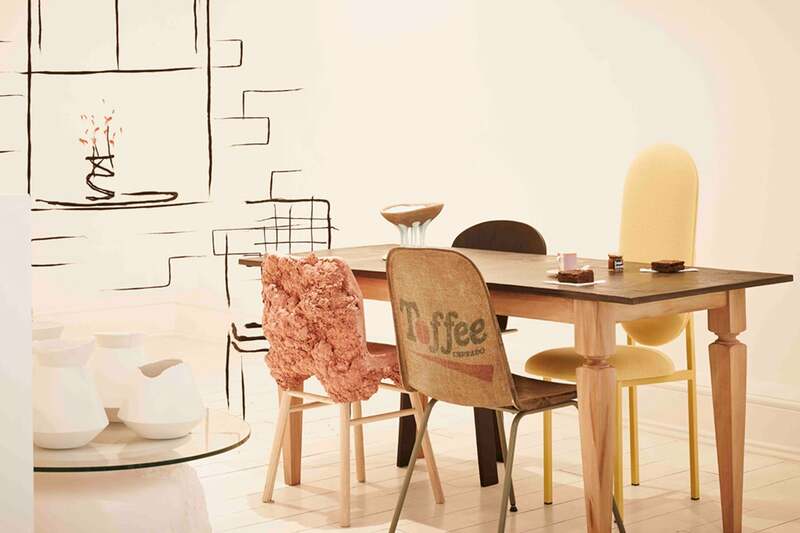 At Tate, appropriately enough, life is sweet for art and design lovers. Want to hang out with us? We haven't even mentioned the V&A, the Cartoon Museum, Hackney's Flea Market or any of London's many arty festivals, such as the London Design Festival, London Fashion Week and the London Illustration Fair. If you've got a favourite hangout that we've missed (and we're sure there's hundreds) let us know in the comments below. And if you want to drop by our store in Covent Garden, or log on to our online store, you'll find the perfect place to hang out while exploring our extensive range of art, craft and design supplies. We'd love to see you.